Living on a tight household budget is hard. There is no doubt about it. While it is admittedly a hard life to get used to, there are a lot of people who are forced to live on much less than the average American household. According to the data from the Bureau of Labor Statistics, the average expenditure of a household in 2015 was $55,978. That means the average American household need $4,665 each month to live comfortably. While that amount may not seem like a lot, there are millions of Americans who might not be able to afford this monthly expense. There are 20 million Americans who are considered as “near-minimum-wage” workers – meaning, they earn less than $10.10 an hour. This is according to the data from PewResearch.org. If these workers spend 40 hours a week, they earn less than $2,000 a month. Imagine the type of lifestyle that they are living with this salary. Obviously, minimum wage earners have to live in a very tight household budget. But even those who are earning above the minimum wage may still be in danger. In fact, the Great Recession taught a lot of people how quickly things can turn for the worse. One incident can be enough to reduce your finances severely that you would be forced to live on much less than what you were accustomed to. Surviving on a tighter household budget is hard but it is not impossible. It all starts with a change in your mindset. You have to wrap your head around the idea that you no longer have the luxury of spending like you did in the past. Once you have grown accustomed to that, only then can you hope to move on and start rebuilding your life despite a tighter financial position. There are a lot of reasons to be forced to live on a tight household budget. Some people choose to do it because they have financial goals that they want to meet. In order to save more to meet these goals, they choose to live on less and have more to put aside for the future. However, most people will not live on less unless they are forced to do so. Here are three of the main reasons why you would be forced to live on a tighter budget at home. During the Great Recession, a lot of people found themselves without a job. Most of them struggled to find a job that paid much less than what they were accustomed to. This forced them to change their lifestyle dramatically. The other reason to live on less is a sickness. The cost of healthcare in the US is unbelievably high. If someone in the family gets sick and you do not have an insurance or emergency fund to cover it, then you are in trouble. Most likely, you will be forced to go into debt. The medical bills can pile up. In case you cannot pay it off, that will bring your credit score down. If you need to start taking expensive medications, that can take your finances back and force you to cut back on your monthly budget. If the person that passed on is the breadwinner, then the family is in big trouble. In case the death is preceded by a huge medical bill because of a grave illness, like cancer, that will cause a bigger headache. According to the data from Cancer.org, 1 out of 4 deaths in the country is caused by cancer. This scenario is not impossible and it can because of your financial downfall. In case you find yourself in a situation wherein you have to start living on less, you do not have to panic. As mentioned, it all starts with a change in your mindset. The immediate thing to do is to sit down, calm yourself, and accept the fact that you need to change something in the way you live your life. You can no longer afford it. As devastating as that may seem, life does go on. It is up to you how you react. If you want to survive, then you know that you need to change your household budget. Here are tips that you need to do immediately. Start by looking at your current expenses. This will help you identify if you have bad spending habits. Try to rank your expenses according to priority. For instance, anything that you cannot live without should be at the top of the list. Without a doubt, your spending has to go down because your budget is lower. After assessing your expenses and ranking them based on priority, it should be easy for you to lower your spending. You can simply remove those at the end of your list until you meet the income level that you currently have. It is possible for you to lower your spending without making too much lifestyle sacrifices. Sometimes, it is not enough to merely cut back on expenses. Even the important expenses like your home will have to be downsized. Move to a smaller home. It will not only cost you less in terms of rent, it will also cost less in terms of utilities. If you have 2 cars, get rid of the other and live with one car. What can you do to increase your household budget? Apart from cutting back on your expenses, you should also think of ways to increase your income. 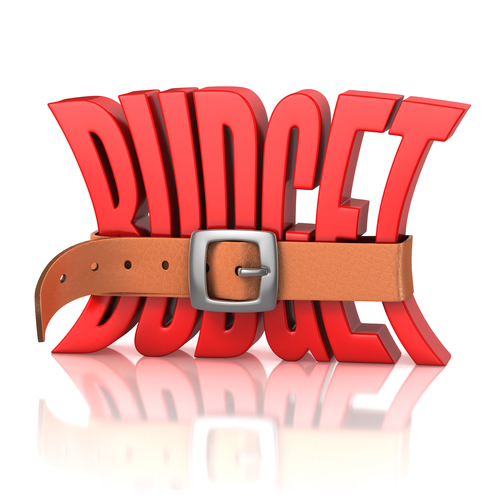 You do not want to live on a tight household budget forever. You want to improve your financial position. To do that, you should start thinking about how you can increase your monthly cash flow. Here are a few tips. Maybe you can start by asking your boss to give you a raise. You may be poised to get one anyway. You should ask your boss if you can expedite that. This is the best way to earn more without really putting additional work into your schedule. If you cannot get a raise, you can ask your superior if you can add extra hours or an additional shift. If you work longer hours, you might be able to earn more each month. You can also ask to be involved in a special project to help increase your income. If your current job cannot help you increase your income, you can just opt to get a second job or a side gig. According to the Bureau of Labor Statistics, there is an increase of multiple job holders in the country from December 2016 (7.55 million) to January 2017 (7.56 million). That means more than 80,000 people started getting another job when this year started. This may be one bandwagon that you want to join if you have to stop living on a tight household budget. You also have the option to get an online job. The great thing about this option is you can work from anywhere and you have full control over the time that you will work on your second job. You can easily keep your day job and earn extra to help you improve your financial situation. You should probably look into assets that you have. See if you can refinance your home loan to help pay off your debts.